A US government contractor has been arrested on suspicion of leaking top-secret information to a news outlet. 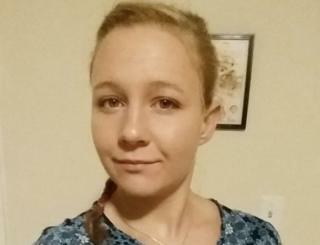 Reality Leigh Winner, 25, allegedly removed classified material from a federal site in the state of Georgia. The charges were announced shortly after news website The Intercept published a National Security Agency briefing about alleged Russian meddling in last year’s election. The Trump administration has been seeking to fight leaks to the media. Ms Winner was arrested on 3 June, the justice department said. She is a contractor with Pluribus International Corporation and had been employed at an NSA facility in Georgia since February. The accused faces a count of “gathering, transmitting or losing defence information”. Ms Winner was vocal in her opposition to President Trump on social media, using the hashtag #NeverMyPresident in one post and an expletive in reference to his plans for a border wall. What did the documents allege? The Intercept’s leaked document alleges that Moscow’s military intelligence services attempted cyber-attacks on at least one US voting software supplier days before last November’s US presidential election. It also accuses the Russians of sending spear-phishing emails to more than 100 local election officials. However, there is no suggestion in the document that the hackers were successful. Ms Winner, who graduated from basic military training at Lackland Air Force Base in San Antonio in 2011, was caught after investigators noticed that the leaked document appeared to have been folded or creased. That suggested it had been “printed and then carried out of a secured space”, according to an FBI affidavit in support of the arrest warrant. Investigators determined that Ms Winner was one of only six people to have printed the document. Examination of her email on her desk computer further revealed that she had exchanged emails with the news outlet, the indictment said. When confronted, Ms Winner admitted printing the report despite not possessing a “need-to-know” about its content and said she was aware that the information “could be used to the injury of the US and to the advantage of a foreign nation”, the affidavit says. The NSA file in question was apparently marked for declassification not before May 2042. American intelligence agencies have accused the Kremlin of trying to interfere in the election to ensure Donald Trump beat Hillary Clinton. Several congressional committees and the FBI are investigating the matter. The president has repeatedly dismissed the story as “fake news”, arguing that the real scandal is how the allegations are being leaked to the media.